Avenger AG® Burndown Herbicide is a non-selective, post-emergent organic herbicide that safely kills weeds, grasses and broadleaves. The active ingredient d-limonene (citrus oil) naturally strips away the waxy plant cuticle, causing it to desiccate & die. 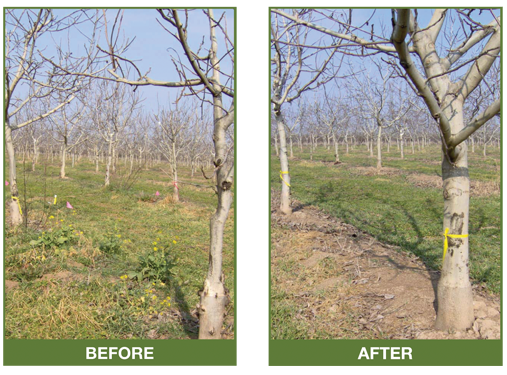 When tested against herbicides that contain, vinegar (acetic acid), citric acid and essential oils, Avenger AG Burndown Herbicide is more effective with quicker results. It is non-toxic and can be used in areas near to people, pets and wildlife. Crop and Non-Crop Registration. OMRI® Listed and WSDA Reg. Material. 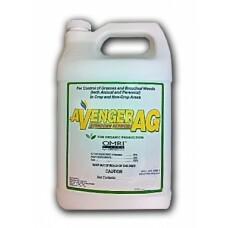 Avenger AG Burndown Herbicide for control of Grasses and Broadleaf Weeds (both Annual and Perennial) in Crop and Non-Crop Areas.